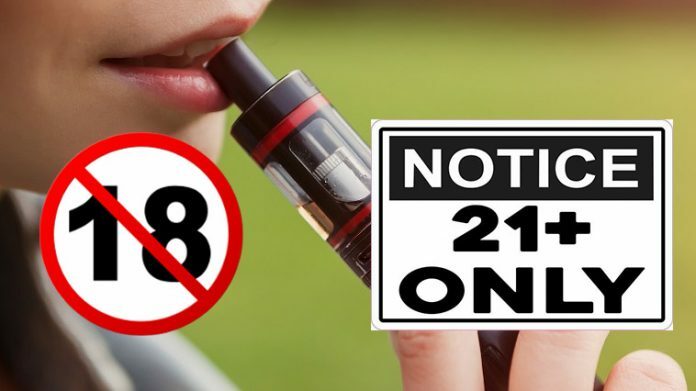 Following the May passage of a similar bill by the Massachusetts House of Representatives, the state’s Senate overwhelmingly voted last week to raise the age for purchasing tobacco products from 18 to 21. The Massachusetts anit-vaping bill included an expansion of restrictions for smoking e-cigarettes in any establishment or place where smoking is forbidden. Healthcare organizations and pharmacies also are prohibited from selling tobacco, masslive.com reported. The state’s Senate voted 33-3 in favor of the new legislation, which passed June 26. The three Senators who voted against the new law were Republicans, according to masslive.com. “This bill will not only protect our young people from beginning a dangerous addiction to tobacco, but it includes safeguards for public health by restricting the use of e-cigarettes and the public’s exposure to e-cigarette emissions,” American Lung Association associate Jeff Seyler was quoted as saying. Massachusetts is slated to become the sixth state to raise the tobacco age limit to 21, joining California, Hawaii, Maine, New Jersey and Oregon. The law will go into effect Dec. 31 and individuals who are over 18 but shy of 21, a grandfather rule will be in place so they can purchase tobacco products. Before last week’s vote, 171 Massachusetts municipalities already acted on their own authority to raise the age above 18, according to the bill’s advocates. Now, the statewide legislation will unify the regulations. Marc Hymovitz, Massachusetts director of government relations for the American Cancer Society Cancer Action Network, said he is optimistic the bill will provide another hurdle for potential young smokers to pick up the habit. “Research shows that if a person does not begin smoking at a young age, they are much less likely to ever smoke,” Hymovitz said. For more vaping legislation and advocacy updates, be sure to check out our News section. Previous articleSoupwire’s Headed to the West Coast Vape Expo! Next articleCould Vaping Help Decrease Your Dental Bill?